Breast imaging professionals discuss the biggest barriers to obtaining patients' prior mammography studies and offer their best solutions for addressing the issue. The importance of prior studies for comparison in mammography reading is no secret to breast imagers, or researchers for that matter. The study authors of a 2011 analysis on false-positives in mammography published in the October 2011 edition of Annals of Internal Medicine actually ended their conclusion urging radiologists to use prior mammograms wherever available, "as it seems clear from these data that availability of prior studies may halve the odds of a [false-positive] recall." 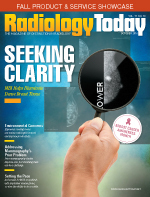 "Prior films are extremely important to keep unnecessary recalls down for abnormalities or presumed possible abnormalities," says Stamatia Destounis, MD, FSBI, FACR, an attending radiologist at Elizabeth Wende Breast Care, LLC in Rochester, New York, and a member of Radiology Today's editorial advisory board. She adds that having access to prior exams gives radiologists a better understanding of a patient's breast pattern and helps to put any findings into the correct context: what's previously identified on a patient's films and therefore stable vs a new finding. False-positives cause unnecessary anxiety to patients and put increased financial, time, and energy demands on all involved—patients, practice staff, and the greater health care system. So why is obtaining patients' prior mammography studies such a problem for some radiologists? Communication, workflow, and financial constraints all play a part and, while technology seems to be moving in the right direction—potentially solving this issue in some current cases and entirely in the future—it's clear that access to prior mammograms remains an issue for at least a portion of breast imagers today. Cost cutting in health care? You don't say. Lack of access to priors may be yet another unintended consequence of ever-increasing efforts to rein in health care system costs. Destounis cites other facilities' financial constraints as the biggest challenge she faces in getting patients' prior mammography studies. With facilities and departments trying to keep costs down, Destounis says it's not uncommon to run into understaffed facilities without dedicated film departments or offsite storage. "And so the challenge is that when you call the facility and request films, they may not have enough manpower to track them down—and it takes time for a facility to find someone to get the films, get patient consent to release films to our facility, package them up, and mail them." Add in the cost of mailing and a lack of a defined process or ancillary staff to handle such requests, and Destounis says it can be anything but easy. "Normally it takes a lot of phone calls, and it's labor intensive. It's not always a straight forward process, and every facility seems to handle it in their own way." It takes even longer if studies are damaged in the mailing process, says Jason Stiver, BS, RT(R)(CT), radiology manager at Punxsutawney Area Hospital. "It can be frustrating when we've waited several weeks for a prior mammogram to arrive only to find the images/CD to be damaged," he says. "For damaged CDs, we must rerequest the images. For films, which are typically original copies, there is nothing we can do except make the best of what is provided." According to Jennifer L. Bowes, chief operating officer and CIO of TeleMammography Specialists, LLC, financial constraints sometimes get passed along to patients—which can cause challenges of its own. "We only have a few locations that are difficult to obtain priors from," she says. "There are sites around the [Washington,] D.C., area that require the patient to come personally to obtain their priors. This can be a financial hardship for patients as they have time lost from work as well as the expense to travel to that site." Caroline A. Reich, MD, PhD, president and CEO of Women's Imaging Associates in Birmingham, Alabama, also sees these costs falling into patients' laps—and she's concerned that it could cause some patients to simply forgo screening mammograms altogether because of the added hassle. "I understand that there is significant cost in having administrative staff copy and mail prior examinations," she explains. "With increasing economic strain on imaging facilities, we are seeing some facilities transferring the burden onto the patient. It is not uncommon for a facility to require the patient to pay up to $20 for a copy of their images and reports and insist that the patient pick up the images in person. Where this is common practice, we see very few patients making the effort to obtain their priors on their own. "It is hard enough to get them to come in to begin with to get their screening mammogram," she continues, "and many patients just do not have the time or resources to manage getting their prior images on their own." While other facilities' circumstances are out of their control, Destounis says having a clear and defined protocol on her end helps to make the process go as smoothly as possible. According to Destounis, Elizabeth Wende attempts to address this issue through their workflow. When all new patients call to make an appointment, they're asked not only whether they had any prior breast exams, but date and location specifics as well. "That's how we start that conversation about priors," she says. "We then follow up with the facility and make arrangements to have those films available to us." Where applicable, practice staff attempt to work with patients coming from other facilities, and sometimes the patients are able to bring prior images with them for their appointment. Keeping a record of one main point of contact with facilities that your practice routinely communicates with can go a long way toward effectively dealing with this problem, Stiver says. "My recommendation is to be persistent with facilities that you are requesting images from," he says. "Contact the imaging department or medical records department of that facility and establish a contact that you can reach out to. "And be organized," he adds. "Know which studies you are waiting for priors to arrive for, so that they don't get interpreted without it. Keeping a list or spreadsheet on all studies awaiting priors also will help ensure that a study doesn't fall through the cracks and go unread." Another part of Elizabeth Wende's priors protocol is having patients sign a release, allowing the practice to request all relevant records from other facilities. Dealing with this issue on the front end helps patients as much as it helps the radiology practice, Destounis says. "Coming in for breast imaging can be very overwhelming for patients," she says. "We recognize that and try to make these administrative tasks as easy as possible for them but ensuring we get what we need as quickly as we need it." Scheduling staff also take priors into consideration when making appointments, Destounis notes. For screening mammograms, staff will schedule patients a week or two out, to allow for adequate time to get those priors in hand. For diagnostic patients, however, staff will get patients in as soon as possible and read studies twice, if priors aren't available fast enough. "If it's an emergent situation, we'll see those patients as soon as possible and then compare them on the back end, if necessary, with priors," she says. "In these instances, we don't want to make patients wait for priors," which can cause unnecessary anxiety and stress. Phoenix-based radiologist Linda Greer, MD, has been practicing in breast imaging since 1996, and she says obtaining priors has been a continuous problem from then until now. More so than other constraints, Greer sees patients' lack of buy-in in providing prior particulars (largely due to a lack of understanding of their importance) as the greater problem. "Part of it is that patients don't understand how important priors are," she says. While staff schedulers ask new patients about prior imaging, Greer says patients often dismiss the question with a simple, "I don't know." Greer suspects that, in at least some of these cases, patients may know, or it might take just a few questions to ascertain exactly when and where those images were taken. "We don't get much support from patients," she says. According to Greer, radiology practices might be better off tackling this issue by finding a way to educate patients on its importance, to better gain their support in obtaining priors. "The message to the patients needs to be that this is to their benefit," she says. "Keep your records, know where your priors are, not necessarily to have them in hand but know where they are. It benefits them in the long run." Putting some time into patient education could actually help twofold, as better access to priors leads directly to fewer false-positives—which is at least one factor in mammography's public image problem. "I think some of the bad reputation mammography has been getting regarding false-positives (callbacks that turn out to be unnecessary) could be easily alleviated by having priors when reading the mammogram," Destounis says. "Make the patient part of this team. Have them pick up their films, if that's appropriate for the patient. That can expedite the process in certain instances, but just communicating the importance of priors themselves will get more patients on board with the process. "It's important for all facilities to have protocols for prior films and then follow through with that protocol for all cases," she adds. "Then stick to it. When you veer away from protocols, that's when something's going to go wrong." Tech Solution in the Works? As the health care system, and radiology in particular, continues to develop new technologies at breakneck speed, many that are coming on board address this problem in part and, potentially, as a whole in the future. But, as of now, challenges still exist. "Most sites now have interfaces to be able to obtain priors back and forth automatically from 'routine' locations," Bowes says. "It's not as big of a problem today as it was a year ago." Indeed, according to Betsy Angelakis, MD, chief of breast imaging at CMC Breast Care Center in Bedford, New Hampshire, CMC uses technology that allows electronic sharing of cases between some centers. "This allows the immediate sharing of a digital case between two imaging centers, allowing immediate access to vital patient information and improved patient care in a timely fashion," she says. "Of course, this is a process that requires special agreements and setups between imaging centers known to each other so that proper safeguards to protect patient information are in place." While Angelakis notes that this service is only workable for certain local centers, she's hopeful that technology advancements will allow more widespread integration and sharing in the future. Destounis has the same hope; she laments that sharing patient images among medical facilities isn't easier in today's digital way of life. "This should be easier with digital mammography," she says. "But connectivity and transportation of images is still an issue. Different systems don't always talk to each other. Hopefully, the future brings a way for us to store images in a better way to access them more easily." Reich says her practice has reviewed numerous proposed ways to manage the transfer of records electronically, but that one size definitely does not fit all. "The largest vendors are setting up hub-and-spoke models that work well for a large hospital system but do not meet the needs of smaller facilities outside of the proprietary network," she says. "A few companies have tried to address the needs of smaller offices and imaging centers that are outside of hospital networks, but the obstacles to this type of implementation are beyond the reach and control of these technology innovators. "The PACS software used by many of these smaller facilities is older and does not allow for intake of images transmitted by secure e-mail," she continues. "Many older PACS require the images that are being added to be uploaded from a CD or DVD but do not have a way to accept an electronic file that is on the server, as that was not even a consideration when these systems were designed. The converse is also a problem, where many of these PACS allow the user to copy images to a CD but do not have a way to upload a file to the server that can then be sent via a secure e-mail exchange." Until technology advances to the point where image transmission can be performed easily across the spectrum of imaging facilities and not just within the big hospital networks, Reich says all radiologists must accept that timely cooperation with facilities requesting patient records is necessary for the delivery of optimal patient care. "Our responsibilities to our patients go beyond taking images and providing interpretations and includes responding promptly to requests for prior studies," she says.